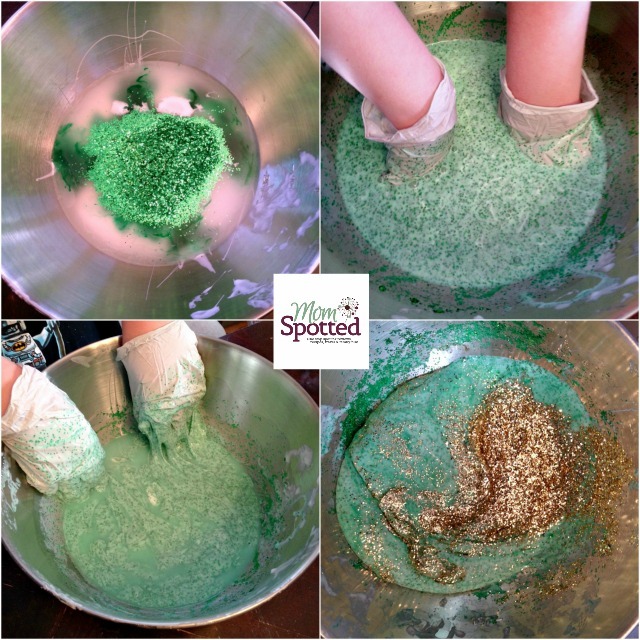 Looking for a fun last minute idea for a festive Happy St. Patrick’s Day? 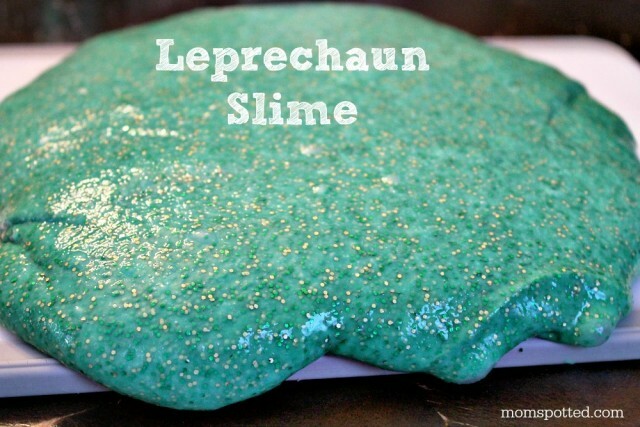 Try this Leprechaun Slime! It’s simple to make, only takes a few minutes and lasts for many uses! Combine ingredients in each bowl as listed above. Then combine both bowls. At this point I highly recommend just using your hands and knead until it is no longer sticking to your hands. We tried using gloves but they just got in the way. 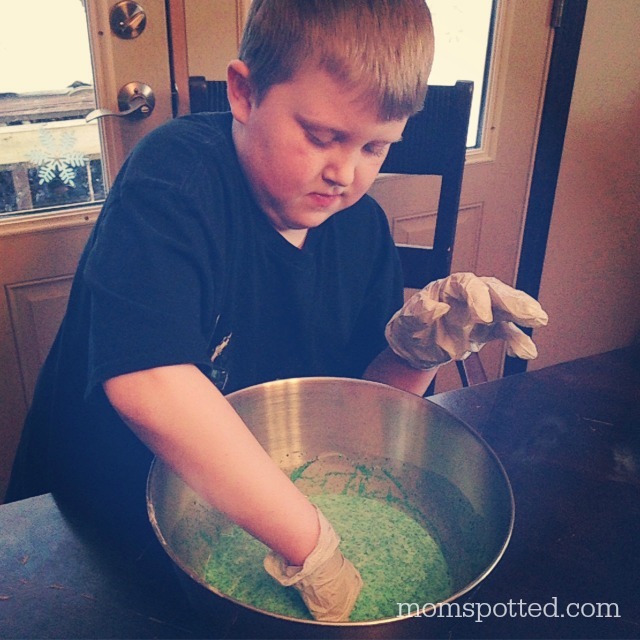 The moment you add in the borax mixture it will almost immediately start to form together. When it comes to color and glitter consistency it really is personal preference. Even after it’s come together you can still continue to add in more drops of color and glitter until it’s just how you want it. 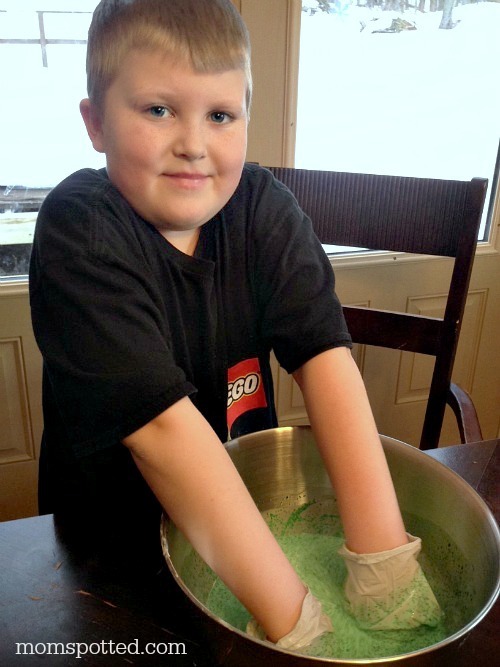 From making it to playing with slime, my boys love every part of it. It’s so simple to make and trying to hold it, cut it, manipulate it never gets old. Both boys have fun with the slime. 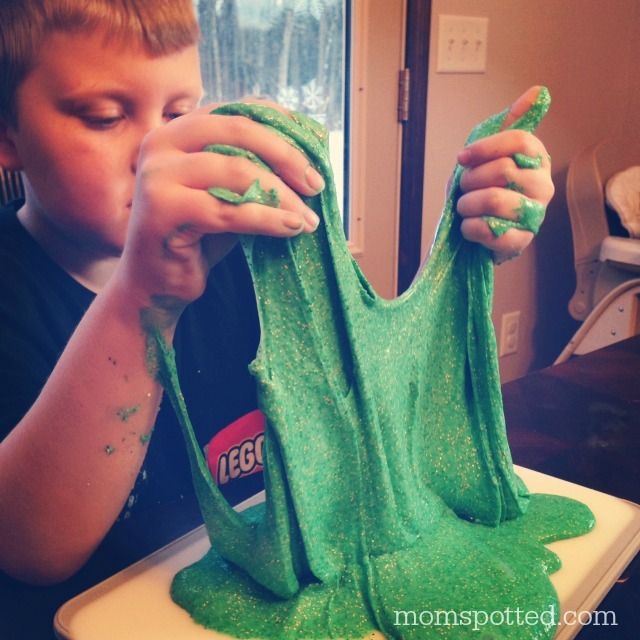 You can pretty much use many of the basic play dough tools with your slime too. 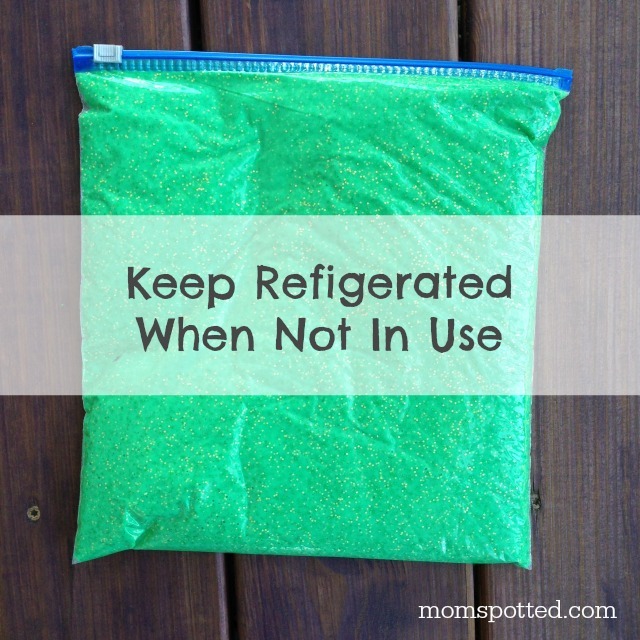 Store in gallon size bag when not in use. Refrigerate for up to two weeks, possibly longer. To use just remove from bag. To get gooey slime let it come to room temperature first. *Please note that if you get slime on your clothing or any cloth material it can possibly ruin it so please be careful and wear a smock if your little one is messy. Every Monday we want you to come and link up your latest craft you made with your kids and share here! Now head on over and check out Being MVP’s awesome DIY Fairy Wands. My little leprechauns would adore this craft. I could swap the color and use it for any holiday. Very cute! 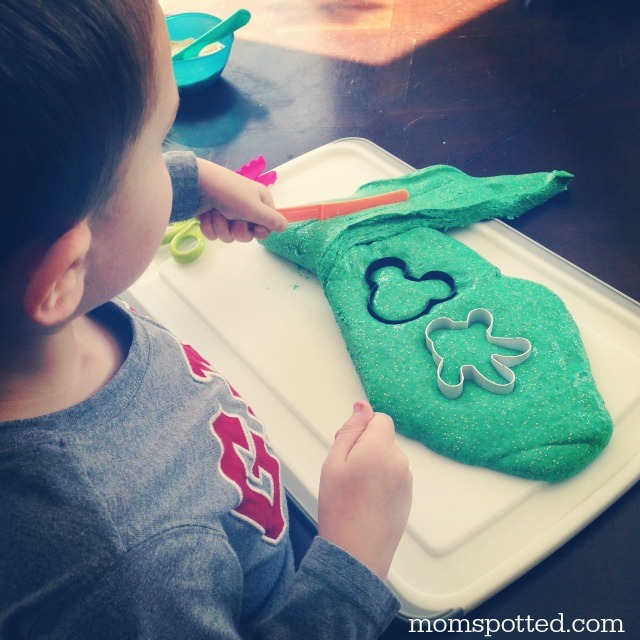 This looks like a cool gooey craft to do with the kids, they could play with this stuff all day too. Love the cool green color. I love the sparkle added. This reminds me of the green slime they use on Nickelodeon.